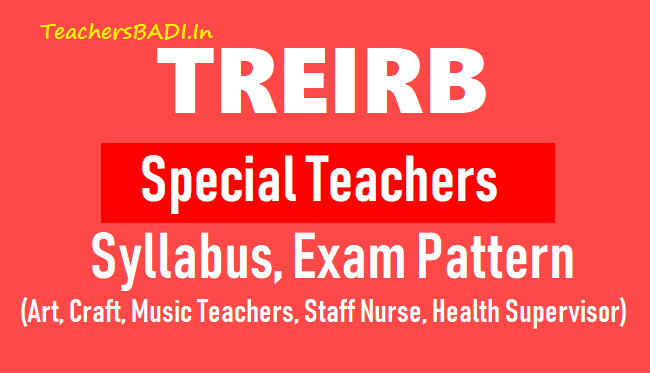 SCDD - RS - Scheme of examination for selection to various categories of posts in Residential Educational Institution Societies to take up direct recruitment through TREI-RB - Orders -Issued. GO.Ms.No.22, SCD (RS) Dept., dt.27.04.2018 - From the Secretary, TSWREIS, Hyd., and the Chairman, TREI-RB Rc.No.01/TREI-RB/2018, dt.21.05.2018. In the reference 1st read above, Government have constituted 'the Telangana Residential Educational Institutions Recruitment Board (TREI-RB) for recruitment of academic and non-academic personnel in all Residential Educational Institutions Societies, namely TREIS, TSWREIS, TSWREIS, MJPTBCWREIS & TMREIS. In the reference 2nd read above, the Secretary, TSWREIS, Hyd., has stated that on the direction of Hon'ble Chief Minister, the Chief Secretary to Govt., Telangana State has convened a meeting with the concerned Secretaries of Departments and all the Secretaries of Societies on 19.05.2018.As per the discussions held in the meeting he has submitted revised scheme of examination for selection to various categories of posts in Residential Educational Institution Societies to take up direct recruitment through TREI-RB. Government after careful examination of the matter, hereby issue the following scheme of examination for selection to various categories of posts in Residential Educational Institution Societies to be filled-up by direct recruitment through Telangana Residential Educational Institutions Recruitment Board (TREI-RB). There will be penalty for wrong answers marked in the objective tests. For each question for which a wrong answer is given by the candidate, one fourth (1/4) of the marks assigned to that question will be deducted as penalty to arrive at corrected score. If a question is left blank, i.e., if no answer is marked by the candidate, there will be no penalty for that question. Marks secured in Paper-I, Paper-II, Paper-III and demonstration (wherever applicable) will be put together and counted for preparation of Merit list.